We have voluntarily self-rated this production as PG. Parental guidance suggested. 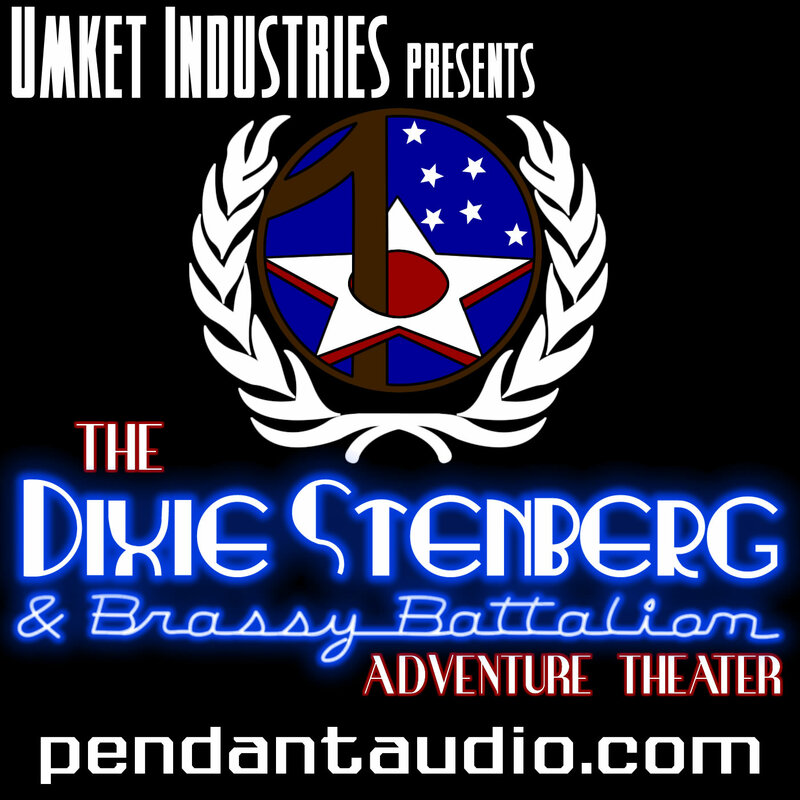 "Umket Industries Presents: The Dixie Stenberg and Brassy Battalion Adventure Theater" is an original sci-fi action/comedy serial adventure done as an homage to/spoof of old time radio. 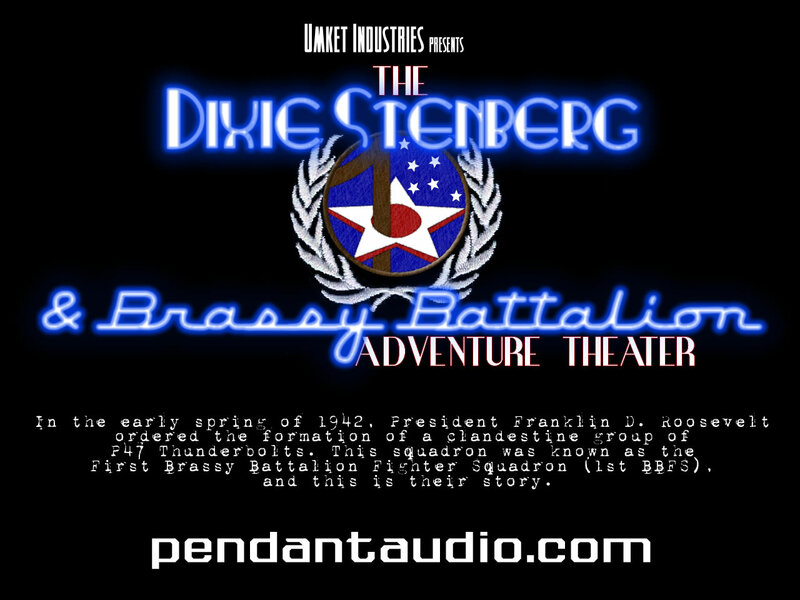 The Dixie Stenberg and Brassy Battalion Adventure Theater grew out of a shared love for the classic radio theatre shows of the 40s and 50s. 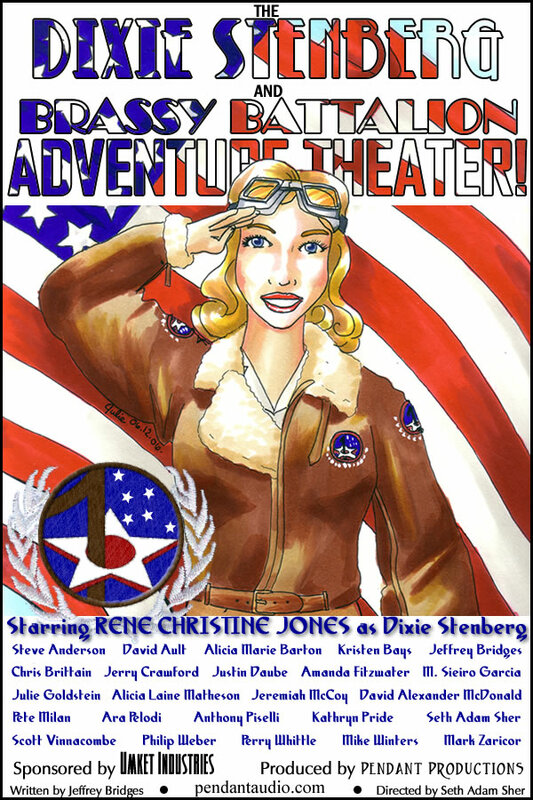 Specifically the aerial adventure drama, with shows like Captain Midnight, Hop Harrigan, Adventures by Morse and Speed Gibson. They showcased not only the dramatic range of the writers of the period and the actors and actresses involved, but also a somewhat larger canvas than most other radio serials of the period. The characters in these shows would traipse all over the world, getting into trouble and danger, sometimes not getting out again, most times saving society or friends or their neighbor's cat, but throughout all of this there was a high sense of fun and adventure in the voices of the cast. I have been drawn to this style of radio drama since I was but a wee bairn, too young to understand that it was actors reading a script instead of some kind of news report from a faraway place. Thankfully my parents set me straight in that regard. And Jeffrey Bridges saw a kindred spirit. 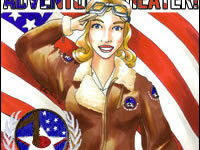 Dixie is written by Jeffrey and will be produced by myself, in the classic radio drama style. 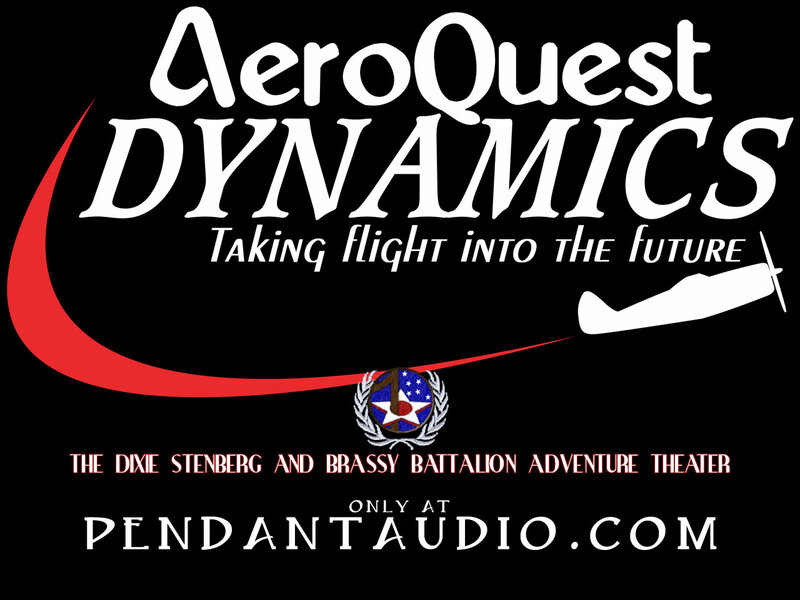 We hope you will enjoy our first completely original audio theatre effort! 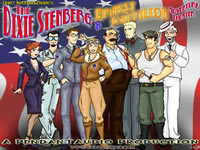 Director, "Umket Industries Presents: The Dixie Stenberg and Brassy Battalion Adventure Theater"
In late 2005, Seth Sher came to me with an idea. He wanted to produce and direct a new ongoing montly radio drama serial in the style of the classic originals from the 1930s and '40s. He asked me if I would be so inclined to write the project, and I jumped at the chance. I'm a big fan of just about anything from that time period. Art deco, the clothes, the cars... I'm not sure what it is, but it's always been my favorite era of American history. And there was something special about the science-fiction back then. It was so innocent, so hopeful, so completely unburdened and unrestrained. It's some of the most imaginative sci-fi ever created. Not only is "Dixie" set during this time period, but we'll be striving to maintain as much of an "old time radio" feel as possible. We're shooting for something light-hearted and, hopefully, something that's just barrels of fun. 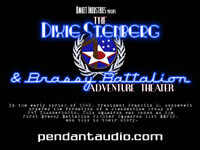 "Umket Industries Presents: The Dixie Stenberg and Brassy Battalion Adventure Theater"
The Dixie Stenberg wiki entry, complete with full episode cast lists and summaries! 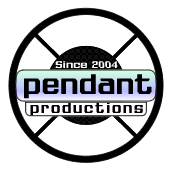 Pendant show "Umket Industries Presents: The Dixie Stenberg and Brassy Battalion Adventure Theater" was a finalist in the Best Audio Drama Short Form category of the 2011 Parsec Awards! 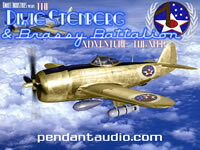 The Dixie Stenberg and Brassy Battalion Adventure Theater"
Pendant show "Umket Industries Presents: The Dixie Stenberg and Brassy Battalion Adventure Theater" was a finalist in the Best Audio Drama Short Form category of the 2009 Parsec Awards! 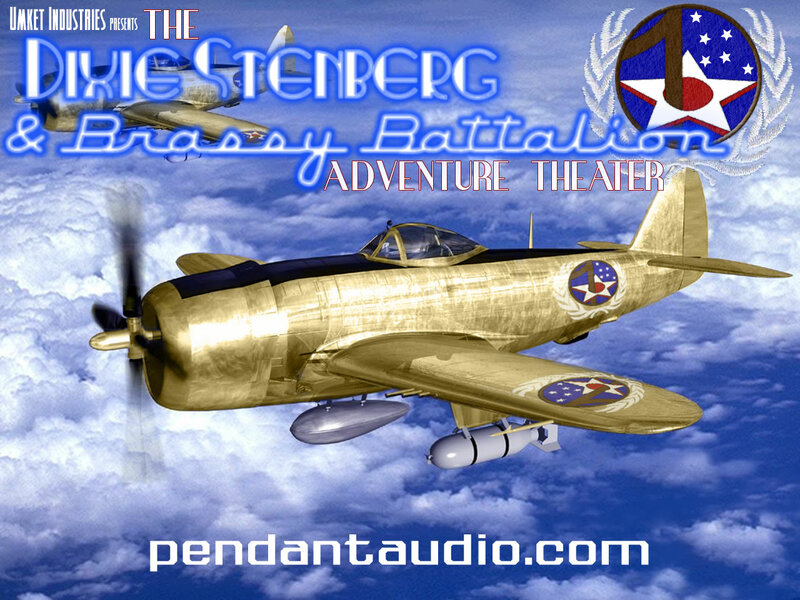 The Dixie Stenberg and Brassy Battalion Adventure Theater""
Jeffrey Bridges for "Umket Industries Presents: The Dixie Stenberg and Brassy Battalion Adventure Theater"
Dixie arrives at a hidden, private hangar in Southern California. 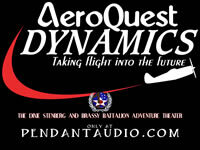 She's a test pilot for AeroQuest Dynamics, and this day is not going to go as planned. Who is the visitor from Washington, and just what does he want with Dixie?